A location of romantic movies, busy markets and roads lined with colourful houses. Nottinghill is possibly one of my favourite central London hangout’s for lunch or chilled out afternoon. The area is always bustling with life, once in the Nottinghill region you have escaped to a classic British haven which seems so far away from the industrial business of central London. This gorgeous outfit of the day (OOTD) was kindly gifted by Zaful, the fashion capital for summer wear online. 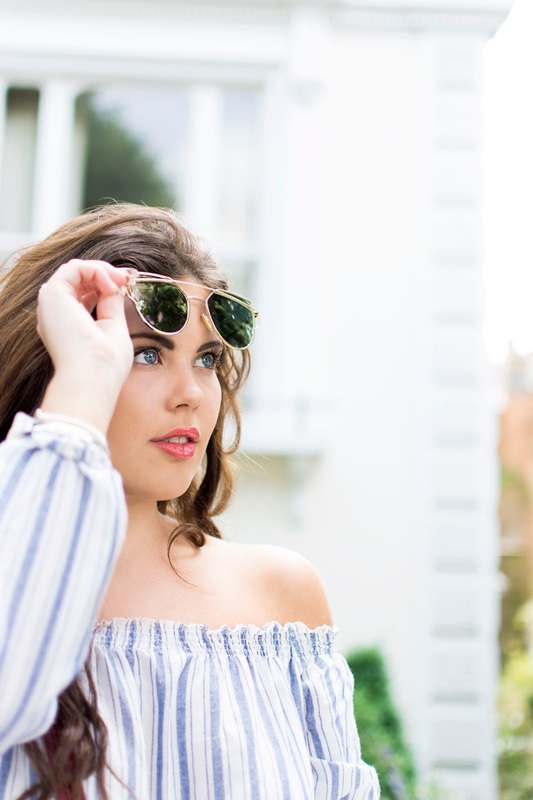 I’ve seen countless bloggers sporting these sunnies and bardot playsuits and was delighted to be able to jump onto this trend ban-wagon (just once hehe!) As it suited the Georgina Hart styling so well.